We know the importance of digging deeper. 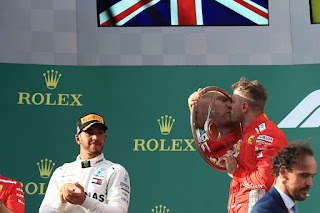 You might think Ferrari would enter this round with optimism, what with its win the Melbourne season-opener just passed plus that last year the Bahrain round was one of Ferrari's most triumphant of the year - overturning a Mercedes front row lock-out with race day pace and bold strategy. 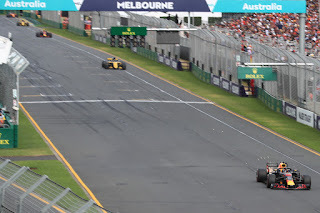 But victor Sebastian Vettel was frank that the Australia win owed much to fortune and the Ferrari has a way to go. "The car just doesn't respond the way you like and it's sliding in places you don't want it to slide," he said in his win's afterglow. It may not get better on the Sakhir circuit as its variety of corners will show up handling deficits. And from reading between the lines of Seb's post race comments, and Lewis Hamilton's for that matter, the broadest take-out from the season-opener is that Mercedes is pretty comfortable out front right now. The silver team thus enters another weekend as clear and rightful favourite. One point that may give the rest a little hope is that we'll be in the clammy desert; clammy even with the race's now evening start time. The Merc hasn't historically been the happiest once the temperature gets up; its cooling seemed marginal even in Melbourne when Hamilton ran in Vettel's wake. Ferrari also may get a little comfort from Kimi Raikkonen. He has a good Bahrain record, finishing second four times since his comeback in 2012. 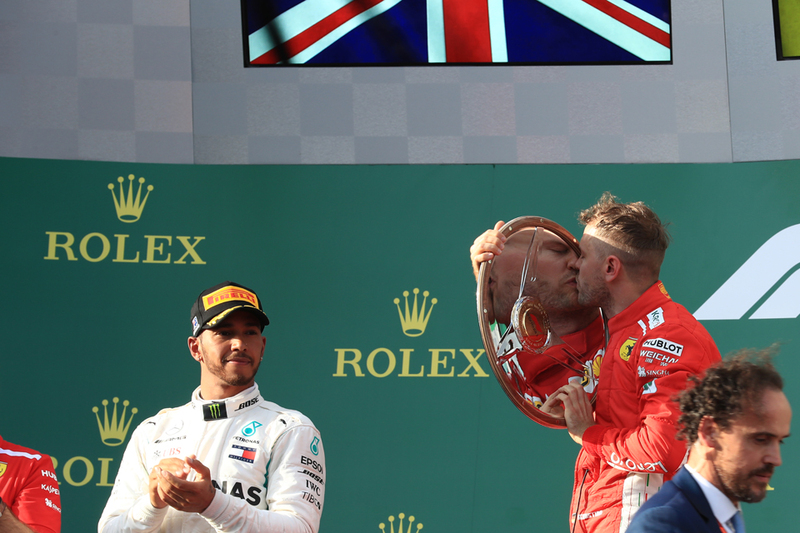 He was the Ferrari pace-setter in Melbourne before the Virtual Safety Car and all that, seeming better able than Seb to meet the ill-handling car halfway. There are also several local challenges that should ensure it is not a Mercedes cruise. One is that the Sakhir surface is abrasive; rear degradation via the many traction areas is a key consideration. Strategies here often are changed mid-race, as indeed was the case for Lewis and Seb last year. Bahrain was one of the few 2017 races that required two stops rather than the usual one, indeed it featured much more strategy variation than almost any other '17 round with the field splitting between liking and not liking the super-soft tyre. Pascal Wehrlein meanwhile got 11th place with a one-stop. Ferrari for much of last year seemed the gentler on its tyres than Merc and in Bahrain the Italian car worked much better on the super-soft. Pirelli's aim generally this year is more stops and bigger gaps between compounds - Bahrain will do a lot to test the extent it's succeeded. Wind gusts and their direction also can change handling significantly, while adding to the confusion most practice sessions take place in the hotter daytime than the now nighttime race. Surprisingly for the desert too temperatures even aside from the day-to-night difference can vary through a weekend and alter tyre considerations. Yet another thing we can take from the opening round is that Mercedes stands a good chance of getting pole, whether it has a 'party mode' or not, which will put it in a good position to control the race. Particularly with overtaking yet more difficult on Melbourne's evidence. Passing at the Sakhir track is a more presentable proposition than at Albert Park though. But it's not just about Merc and Ferrari. Red Bull likely was more competitive in Australia than its result showed - Max Verstappen made a mistake on his final qualifying effort without which he likely would have started second, while both Red Bulls got bottled up in traffic on race day. 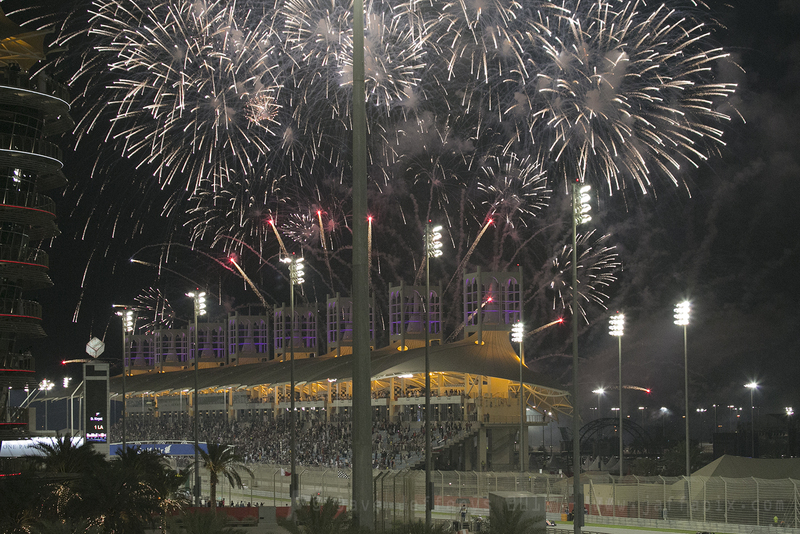 While this track may be happy Red Bull hunting ground - amid its struggle early in 2017 Bahrain was one of its more competitive weekends, with Daniel Ricciardo managing to split the Ferraris on the grid. He ran with them in the race too until he bolted on the soft tyres ("it felt like the tyre was never switched on," he said of them). Verstappen also was sat pretty until a brake failure. The soft tyre is brought again this time, along with the super-soft and medium, and will again be hard to avoid in the race so Red Bull will hope to have resolved whatever the problem was. 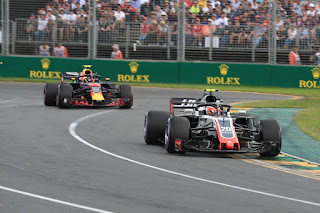 Another Melbourne take-out is that as testing indicated the Haas is indeed all that, qualifying sixth and seventh and looking well on the way to finish even higher before both had botched pitstops. This being F1 it all led to plenty muttering about its car being a "Ferrari replica" (Fernando Alonso's words) and that it takes full advantage of the listed parts regulations by minimising what it has to design itself. That this has been its model since entering F1 in 2016, and that the best Haas was actually closer to pole in 2017 than in 2018, was neither here nor there apparently. 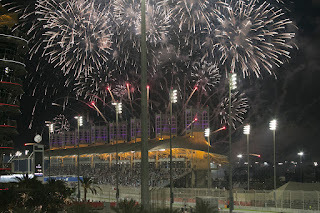 Sadly the grumbling is unlikely to desist in Bahrain as Haas has a good record there too - Romain Grosjean started ninth in both of his visits with Haas and finished eighth and fifth. Whatever it looked in Melbourne a close fight between the American team and Renault and McLaren to be best of the rest currently. There is a conundrum further back. Williams and Force India both have good records here, not least due to having Merc engines which let them fly down the straights. Yet both struggled in Melbourne. The factory team is unlikely to struggle of course. There are reasons to think rivals could get with Mercedes in the desert. But it's more likely to be just a mirage.